American cheese will never die. It has too many preservatives. But it’s melting away…. One by one, America’s food outlets are abandoning the century-old American staple. In many cases, they’re replacing it with fancier cheeses. Wendy’s is offering asiago. A&W’s Canada locations switched to real cheddar. McDonald’s is selling the Big Mac’s soft, orange square of American cheese with a version that doesn’t contain artificial preservatives. Panera Bread ditched its old-fashioned grilled cheese made with American and replaced it with a four-cheese combo of fontina, cheddar, monteau and smoked gouda. The result: higher sales. American cheese is “an ingredient we’re looking to less and less in our pantry,” said Sara Burnett, the chain’s director of wellness and food policy. American (cheese) culture is at a crossroads. The product, made famous by the greatest generation, devoured by boomers on the go and touted as the basis for macaroni and cheese, the well-documented love object of Gen X, has met its match with millennials demanding nourishment from ingredients that are both recognisable and pronounceable. Don’t rely on anecdotal evidence. The data show it, too. 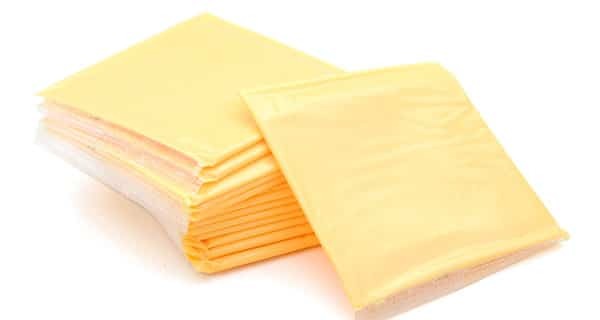 US sales of processed cheese, including brands like Kraft Singles and Velveeta, a mainstay of delicacies such as ballpark nachos, are projected to drop 1.6 percent this year, the fourth-straight year of declines, according to Euromonitor International. The end of the affair is also evident at the Chicago Mercantile Exchange, where 500-pound barrels of cheddar — which are used to make American cheese — are selling at a record discount to 40-pound cheddar blocks, the cheddar that shows up on party platters. That’s because demand for the cheese in the barrels has been dwindling for years, according to Alyssa Badger, director of operations at Chicago-based HighGround Dairy. American cheese isn’t the point of a lot of the barrel production, Badger said. It’s for the byproduct whey, a staple of pricey protein shakes. Decline is also evident when looking at the manufacturing landscape. The number of US cheese factories increased 40 percent between 2000 and 2017, but the growth is from small, specialty cheesemakers, said Matt Gould, editor at Dairy & Food Market Analyst. Prices at the grocery store for processed American cheese have been slipping, too, dipping below $4 a pound for the first time since 2011, according to the US Bureau of Labor Statistics. American cheese was born at a time when utility reigned. James and Norman Kraft invented processed cheese in 1916 and sold it in tins to the US military during World War I. Soldiers kept eating it when they returned home and its popularity soared. It wasn’t until 1950 that Kraft perfected the slicing. Soon after came a machine that could individually wrap the slices, and in 1965, Kraft Singles were born. Like Wonder Bread, society marveled at the uniformity of the product, the neatness of the slices, the long shelf life and its ability to stay moist even in the desert, in the middle of the summer, at noon. Ingredients include substances that sound like a chemistry set: sodium citrate, calcium phosphate, natamycin, modified food starch. And, of course, milk. Though 40 percent of US households buy Kraft Singles, overall sales are flat, according to Peter Cotter, general manager of cheese and dairy for Kraft Heinz. Kraft has a 30-person R&D team working on ways to get American cheese into more homes, he said, offering qualities that healthier, more natural cheeses can’t. For instance, “the melt”. It oozes out of grilled cheese sandwiches, defines the common cheeseburger, and claims a place of high status in the lunchboxes of children across the nation. However what we know and love in this country as “American cheese” is neither American – nor is it cheese…..